Sign up to receive e-alerts on upcoming titles by Robert L. Leahy (with special discounts)! 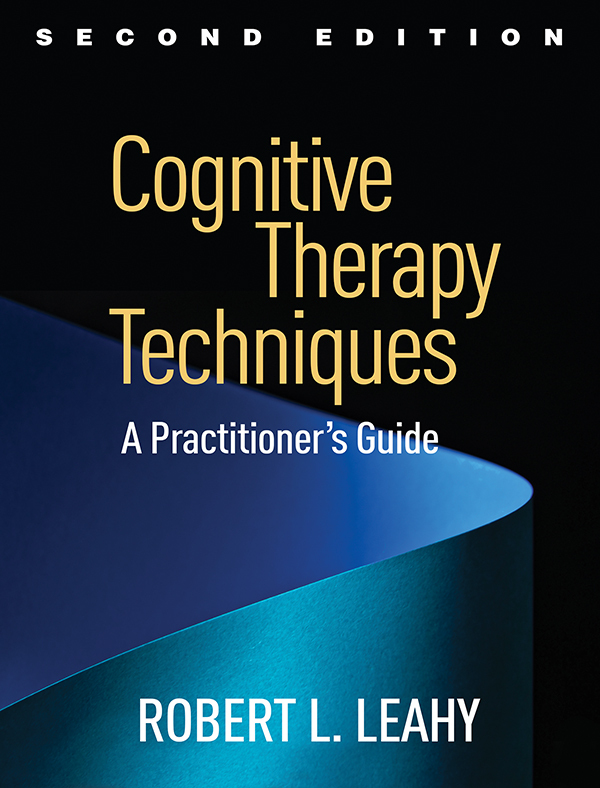 This indispensable book has given many tens of thousands of practitioners a wealth of evidence-based tools for maximizing the power of cognitive therapy and tailoring it to individual clients. Leading authority Robert L. Leahy describes ways to help clients identify and modify problematic thoughts, core beliefs, and patterns of worry, self-criticism, and approval-seeking; evaluate personal schemas; cope with painful emotions; and take action to achieve their goals. Each technique includes vivid case examples and sample dialogues. Featuring 123 reproducible forms, the book has a large-size format for easy photocopying; purchasers also get access to a Web page where they can download and print the reproducible materials. Numerous additional techniques and reproducible tools, including 48 new or revised forms. Chapters on decision-making problems, intrusive thoughts, and anger management issues. Incorporates the latest theory and research as well as cutting-edge techniques drawn from acceptance and commitment therapy (ACT), behavioral activation, dialectical behavior therapy (DBT), emotional schema therapy, and the metacognitive model. Significantly revised chapters on emotion regulation and worries. Filled-out examples for many of the forms.